A new trade organisation, the Scottish Festivals and Events Association (SEFA), will formally launch on 16 May. The association pledges to provide leadership and representation for the organisers, promoters and suppliers involved in the £5.6bn events and tourism industry in Scotland. A free launch event will take place at the Royal Scots Club, Edinburgh on 16 May, which will be an opportunity for people to find out more about SEFA and to hear from special guest speaker brigadier, David Allfrey, chief executive and producer of the Edinburgh Military Tattoo. 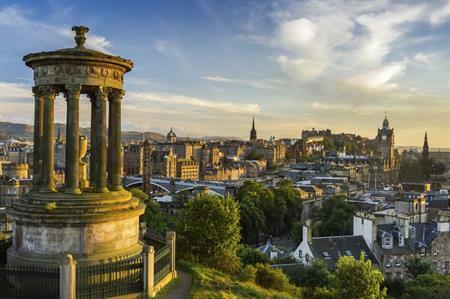 With the tourism and events industry identified as a core component of the Scottish Governments economic strategy, SEFA will act as an advocate for its members, ensuring that their views are heard on key issues and policy impacting the industry. A key aim of SEFA will be to facilitate the safe and successful delivery of events and to provide a sustainable platform for businesses. SEFA chair, Angus Mackay, said: "Scotland's event industry creates and sustains jobs, attracts spending into the Scottish economy and plays a major role in supporting business and leisure tourism visitors. We want to ensure that SEFA, as a representative body, works with Government to maximise the health of our industry and to strengthen Scotland's reputation as an event hosting destination through the entire events supply chain." Chris Lawson, vice president and SEFA founding member, said: "The industry has seen a dramatic transformation in a relatively short space of time. We are an important sector within the economy, yet we have little or no representation at the highest levels of Government. SEFA hopes to change this and influence the decisions that are made by providing our industry a voice at this level." The events sector, which includes major cultural, sporting and business events, is worth almost £1.5 billion to the Scottish economy* with conferences and business events accounting for 57% of the total. Members will be part of a unified industry voice, helping secure Scotland’s predominance as an international stage for events and conferences.